When you’re planning a large commercial event it’s important that you hire a crack security team to ensure entry, exit, and operations during the event are run safely and securely. 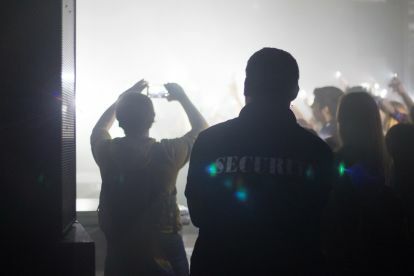 At ANKR, we work closely with event organisers to plan security, whether you’re looking for a team of doorman when it comes to admissions or you’re looking to ensure the perimeters of your event are safe from theft or vandalism, our security services are perfect for you. Based in Carterton we offer the number one selection of event security service in the area. Call today on 07885380913 to find out more. 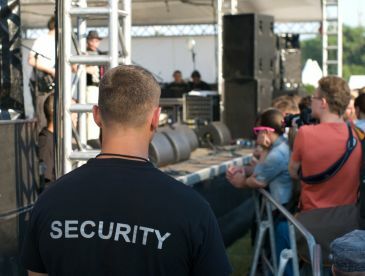 In addition to manned security entry we also provide a selection of perimeter security services designed to ensure that your event is free from any backdoor entry as well as vandalism and theft of important goods like speakers and generators. 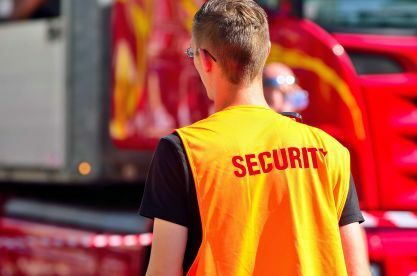 We use a series of modern and traditional techniques from regular foot patrols to CCTV monitoring across your event space ensuring if an issue does arise, we can act quickly to stamp it out and ensure your event runs smoothly from then on. It doesn’t matter what event you’re planning, if you need security services we’ve got your back. Whether it’s an event that sells alcohol and requires ID checks upon entry we’re experienced in ensuring your event is kept legal when it comes to underage entrants by delivering thorough ID checks. Additionally, we’re also capable of providing security for events where your children may be in attendance, helping ensure the safety of their kids when they’re trying to have fun and enjoy their day out. Please note that ANKR may not be able to honour booking requests made.